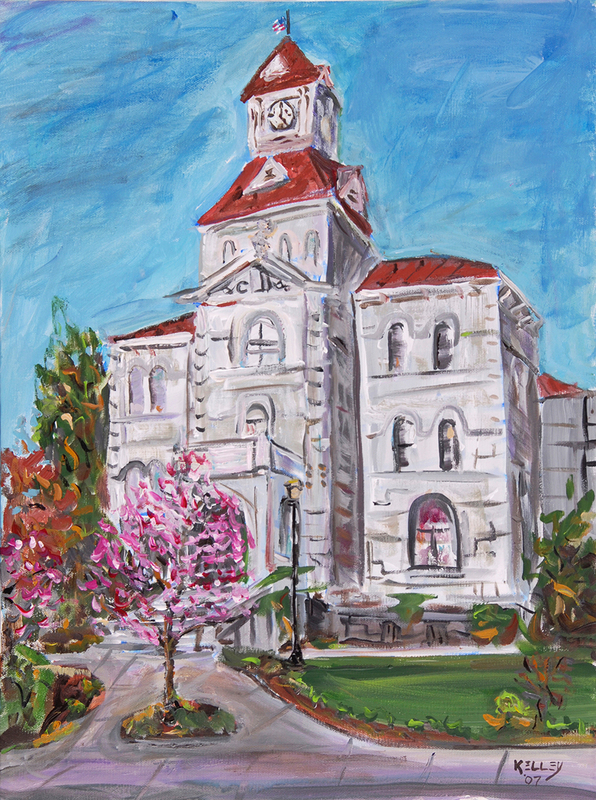 The Benton County Courthouse is a landmark building located very near to my home. Built in 1888, the facility is regarded as the oldest county courthouse in Oregon and is still being used for its original purpose. I painted this piece en plein air on a windy April day in 2007. Details:Acrylic on stretched canvas. 24 x 20 inches • 61 x 50.8 cm.Price:Sold. In a private collection in Corvallis, Oregon.